A bill that would authorize investigations of telemarketers who knowingly manipulate caller ID information was advanced from general file April 16. The telemarketing industry generated over $23 billion in 2018 alone, Halloran said. As introduced, LB693 would prohibit any person from selling or renting a phone number to an out-of-state entity unless the telephone number is publicly listed and could be verified by a telecommunications provider. The bill would prohibit any person working in connection with a telecommunications service or internet-enabled voice service from causing a caller ID service to knowingly provide misleading or inaccurate information with the intent to defraud, harm or wrongfully obtain anything of value. The provisions of LB693 would not apply to authorized law enforcement activity or a court order that authorizes caller ID manipulation. The Nebraska Public Service Commission would be authorized to impose administrative penalties on violators, not to exceed $2,000. 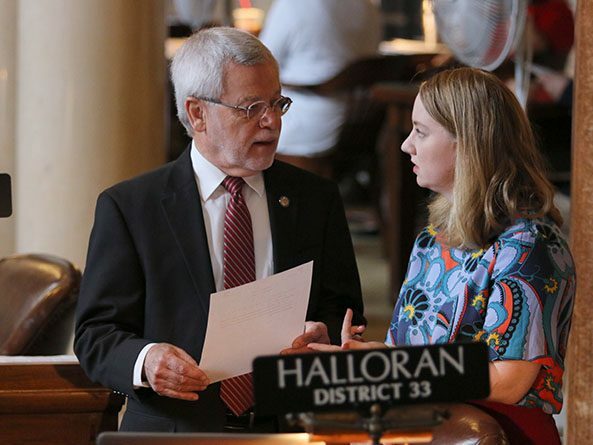 Halloran introduced an amendment, adopted 42-0, which would authorize the state attorney general to investigate violations of the bill under the Consumer Protection Act. These violations would not give cause for private civil action. 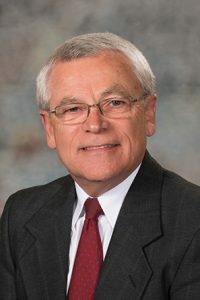 Sen. Mike Hilgers of Lincoln supported the bill, but expressed concern that it could harm legitimate telemarketing businesses. He suggested that the Legislature take a “national perspective” when addressing telecommunications issues. Opposing the bill was Omaha Sen. Ernie Chambers, who said it would do nothing to stop telemarketing calls. “You’re shooting at a moving target and that target will move faster than you can load your gun and fire at it,” he said. Omaha Sen. Megan Hunt introduced an amendment that would exempt local telecommunications companies from the bill’s provisions as long as they are acting in accordance with federal law. The amendment would hold harmless local companies, she said, and make sure they are not penalized for the actions of bad actors. Hilgers opposed the Hunt amendment, saying that it could prevent the attorney general from properly investigating violations. He said he would work on drafting an amendment with the attorney general’s office before select file debate. Following the 29-11 adoption of the Hunt amendment, senators advanced LB693 to select file on a 40-1 vote.